Mountain Fuel ambassador, triathlete Chris Stirling (winner of Canada-Man Triathlon-2017, Celtman Scottish Extreme Triathlon-2017, Windermere Triathlon-2016, Ben Nevis Triathlon-2016). Triathlon races are typically raced across three different distances: Sprint, Olympic, and of course the pinnacle of triathlon racing, the almighty Ironman™, though there are now many ‘half’ Ironman™ distance events out there for those who are naturally progressing through the distances. 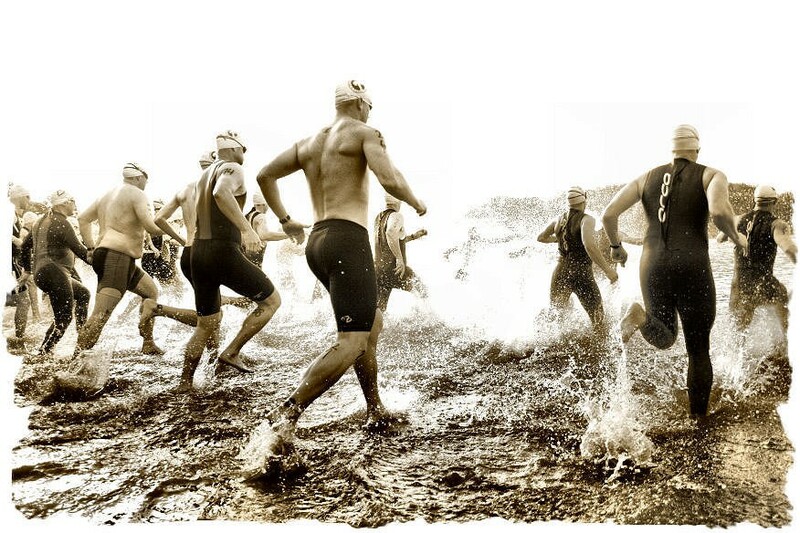 A typical sprint triathlon consists of 3-stages (swim, bike, and run), just like all other triathlons (excluding winter triathlons). However, the sprint distances are much shorter than the Olympic and Ironman™ races and generally take shape as follows: 750m swim (0.5 miles), followed by a 20k bike ride (12.4 miles), then finished off with a 5k run (3.1 miles). Therefore, in the following article we will consider the nutritional strategies surrounding competing in such an event as a ‘sprint triathlon’, and leave the alternative distances to future articles. Like all endurance events, there is, and always will be an essential need to train to prepare for competition and have a specific triathlon sprint training plan. Although specific physiological characteristics may seem more important to the ‘elite’ athletes, people of all ages, abilities, and size are openly competing in such events, for both recreational pleasure, and even age-group titles. No matter what distance you are racing, the correct ‘training diet’ is essential for health, well-being, training adaptations, recovery, and to a successful racing experience (1), as the nature of many triathletes’ training schedule call for twice-daily training sessions, back-to-back training sessions, and typically long back-to-back sessions on week-ends, all training two of the three disciplines of triathlon. TOP TIP: Training is a great chance to practice new eating & drinking strategies with unfamiliar foods and fluids…better to get it wrong in training, rather than on race day! For any endurance race distance there always has to be an important emphasis put on your ‘nutritional build-up’ before the race. It is important not to suddenly make drastic changes in your typical daily diet, but to slowly alter and make the necessary changes. Sudden changes in diet can increase the chances of potential energy fluctuations and gastrointestinal problems, which are something one should definitely try to avoid in the 24-48 hours before your event starts. Increase your carbohydrate consumption to match the necessary energy requirements for such an event as a sprint triathlon over the 24-48-hour (2) build-up to the event start, and this should typically assure glycogen (energy) levels are well topped up when you reach the start line of your event. To help top-up glycogen levels, sipping Mountain Fuel® Xtreme Energy Fuel as part of your nutritional build-up can efficiently help with this process. As many race events begin early on in the morning, consuming a carbohydrate meal 2-3-hours before hand just isn’t always possible, and/or appropriate for some athletes. This can be assisted, again, by the consumption of Mountain Fuel® Xtreme Energy Fuel, and/or also a ‘lighter’ breakfast of Mountain Fuel® Morning Fuel, providing an essential last-minute glycogen top-up before the starters gun sends you off. TOP TIP: Do not neglect fluid intake in your nutritional build-up period. A well hydrated state pre-race is important, especially so more on hot sunny days. All being well, there should be no need to refuel or to hydrate during the swim leg of a sprint distance triathlon, due to a well-organized and planned pre-race nutritional build-up period. However, some athletes may carry an energy gel with them on the swim so that glycogen levels can be immediately topped up on leaving the water and heading in to the first transition phase. Again, well-practiced and organization skills are key in multi-sport events, especially when it comes to nutrition and hydration strategies. You do not want to lose time in the transition phases because you have not prepared food & drinks beforehand, so make sure all of your fuel is on the bike ready for your bike phase of the race. Typically, on the bike athletes should be looking to consume ~1g/CHO/min (3) to sustain intensity levels, and to limit fatigue, depending on the expected phase duration. Carrying a high carbohydrate snack and/or gel, as well as a preferred sports drink which includes electrolytes along with carbohydrates (Mountain Fuel® Xtreme Energy Fuel) during your bike phase is the easiest and most practical way of replenishing glycogen levels during the race. If glycogen levels can be replenished enough throughout the bike phase of the race, then having a small carbohydrate snack, such as a handful of raisins, or even an energy gel during, or just as you leave transition two (bike to run), should typically provide enough energy to complete the final run phase of the event. Hopefully, there are water stations throughout the event, so carrying water should not be needed and decent hydration levels can be maintained. As athletes, I presume we have all heard of the importance of recovery, or I hope we all have! To aid in pre-race recovery and glycogen replenishment it is advisable to consume both protein, containing the essential amino acids, plus carbohydrates in one form or another, for example, and from personal experience, I have found that 500ml of chocolate/strawberry Mountain Fuel® Recovery drink (sometimes with a cheeky extra scoop in) asap after training/racing helps begin the muscle recovery phase, and then over the course of the next 2-4 hours 0.5-2ltrs of Mountain Fuel® Xtreme Energy Fuel helps to quickly and efficiently begin to replenish glycogen and electrolyte levels, ready for the next day’s training or racing. This replenishment stage should include a high carbohydrate meal <4-hours after training/racing to help top up glycogen levels more substantially. This is essential if you are intending on training or racing again the following day.